Can you patent a fraudulent stem cell method? Yes! fraud is revealed. Photo: Reuters. At first I thought the Patent Office was having a little fun. Was it an April Fools Day joke? No, it's only February - and the U.S. Patent Office never kids around. "the authors of two papers published in Science (2, 3) have engaged in research misconduct and that the papers contain fabricated data." "does not possess patient-specific stem cell lines or any scientific basis for claiming to have created one." "definitely not an assertion by the U.S. government that everything he is claiming is accurate." Well, I must say I'm relieved to hear that. 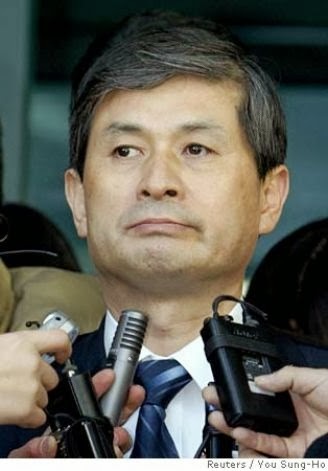 Hwang himself admitted the data were fake! As I've written previously, the USPTO simply can't keep up with biotechnology, and the courts don't do any better. In this case, it's hard to imagine a more obvious example of a patent that should be denied: the papers were retracted, and the lead scientist lost his job after his own university concluded that the data was fabricated. And yet the patent office is standing by their decision. What are they thinking? Internet quack Joe Mercola is worried. Dr. Oz to the rescue! Dr. Oz interviews Joe Mercola on his show. Himalayan salt is far better for you than regular salt. Coincidentally, Mercola sells the good salt. Vitamin D is "the new silver bullet for cancer." No, it's not. Not even a little bit. Homeopathy cured a boy of autism. Of course Mercola doesn't provide any proof of this, only a testimonial. This is not even remotely plausible, since homeopathic preparations are just sugar pills. I could provide many more examples, but this should be enough to demonstrate that I'm not making this stuff up. Mercola is also one of the loudest voices and worst offenders in the anti-vaccine movement. Among other misinformation, he claims that the hepatitis vaccine causes autism, and his website urges people to use his supplements instead of getting vaccinated. So how do I know Mercola is worried? He's appearing on the Dr. Oz Show on Monday, February 10 (the day after I'm writing this) to talk about multivitamins. Apparently his 10 minute segment wasn't enough, so he posted an article on his website with the "Information I couldn't share" on Dr. Oz's show. Does the article explain why multivitamins are actually good for you? Well, no. Most of the article is a big red herring, in which he argues that supplements should not be regulated as drugs, because "we have all the regulations we need." Then he contradicts himself and says that the FDA already regulates supplements. (It doesn't - or to be more precise, the FDA does not require supplement makers to prove their products work. It can only step in if the products start to kill people. This is what Mercola calls regulation.) Besides, he says, supplements are harmless. As evidence, he cites a press release from a pseudoscientific organization that claims "no deaths from supplements in 27 years." Not surprisingly, Mercola doesn't cite any actual science to support his claims. In contrast, several very large studies in major medical journals, cited in my own columns last month and last October, show that routine supplementation with multivitamins, especially with the megadoses that many people take, can indeed cause genuine harm. Those same studies showed that if you don't have a deficiency, there's simply no benefit to taking most vitamins. Mercola's response is to cite opinion pieces from his own website that simply assert, without any evidence, that the studies are wrong. In other words, Mercola's response is "Oh yeah?" He then goes off on a tangent and launches an irrelevant ad hominem attack on noted vaccine expert Dr. Paul Offit. Why has Dr. Oz repeatedly had Joe Mercola on his show? This is a tough one. Does Oz believe that autism is caused by vaccines, something Mercola has claimed repeatedly over the years? Does he understand that Mercola's anti-vaccination campaign leads to genuine harm? Does he know that the FDA has repeatedly issued warnings to Mercola to demand that he stop making false claims about his vitamins and supplements, as Chicago Magazine reported? Or does Dr. Oz keep inviting Mercola back because he knows Mercola has a big audience that will increase his own viewership? 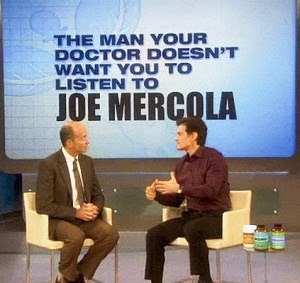 Despite my past criticism of Dr. Oz, I still think he has a better grasp of science than Joe Mercola. He also reassures viewers constantly that he doesn't sell the products that appear on his show. And yet Oz is giving a platform to someone who makes huge profits selling products based on unproven claims. By having Mercola on his show, Oz is giving him free publicity and helping him sell those same products. And whether or not Oz agrees with Mercola, he is helping to give credibility to Mercola's wildly inaccurate and dangerous anti-vaccine claims. Vaccines are probably the single greatest advance in public health ever invented. 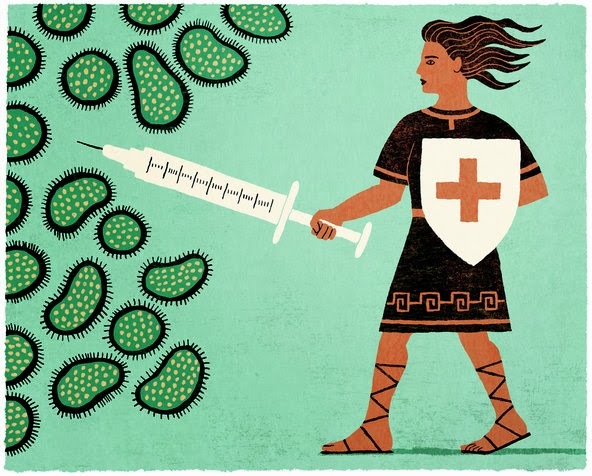 Despite their enormous benefits, and the overwhelming evidence in their favor (we've wiped out smallpox and nearly wiped out polio), anti-vaccine activists continue to spread rumors and wildly inaccurate, but scary tales about the potential harms of vaccines. Today a new website was published, a collection of 100 other sites that provide good information on the benefits of vaccines, and that bust many of the most damaging anti-vaccine myths. This site is on the list, but you'll find many other excellent sources of good science about vaccines. We need every bit of help we can get to counter the mis-information about vaccines promoted by groups such as Generation Rescue and Age of Autism.